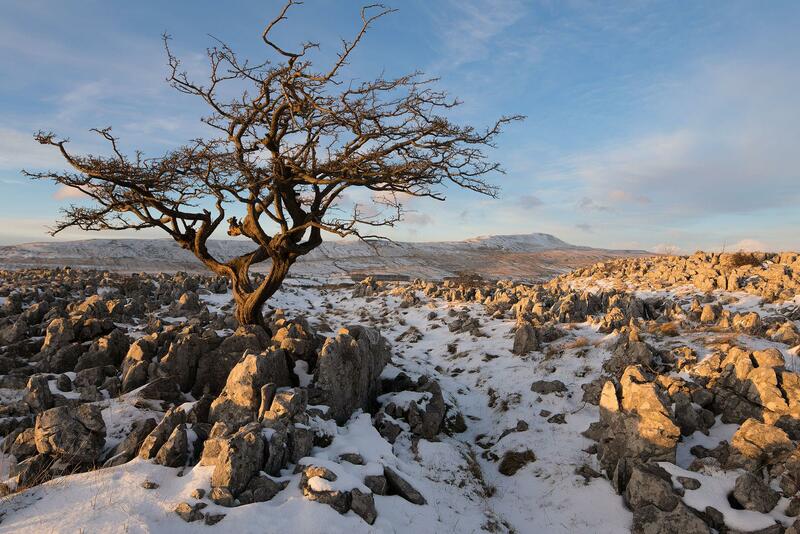 Without doubt, if you are looking to photograph the finest, the most varied and the most dramatic areas of Limestone scenery in the country, then you have to venture into the Yorkshire Dales. 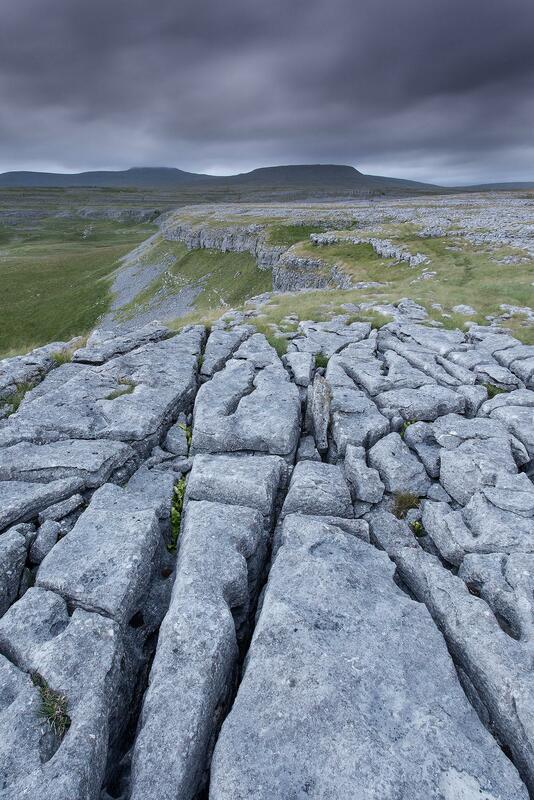 Although there are pockets of Limestone in some other parts, both the size of these areas, and the sheer diversity of the geology, make the Dales incomparable to anywhere else. 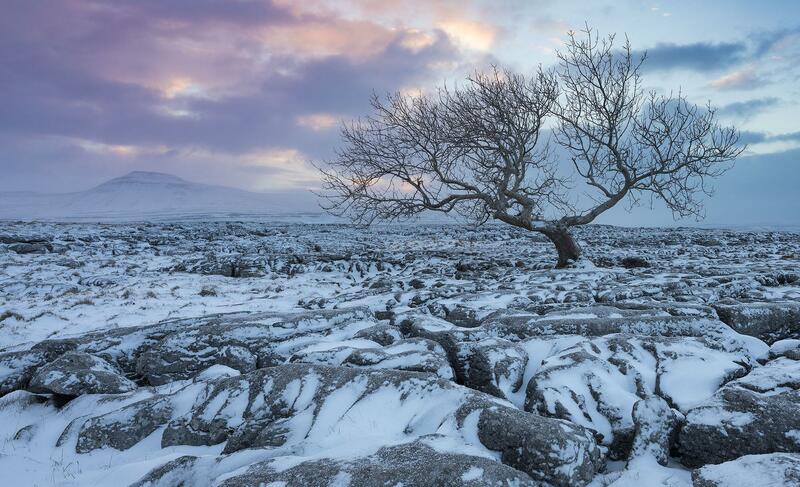 Although the Limestone itself was created during the carboniferous period, as far back as 300,000,000 years ago, the Limestone pavements, crags and glaciated valleys that are visible today, were revealed during the last ice age, some 12,000 years ago by the scouring effects of huge slabs of ice or 'Glaciers'. 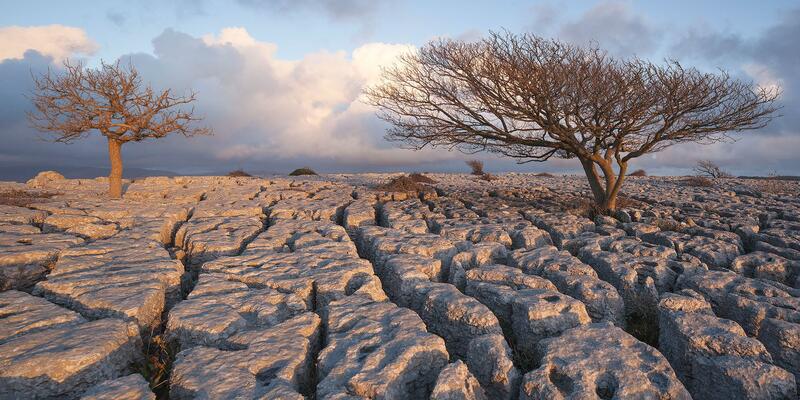 Limestone, being a 'porous' rock is highly prone to erosion and especially from acid rain, which over thousands of years has the effect of carving out channels, or 'Grikes' as they are known, between the large blocks or 'Clints' of soft Limestone, forming a natural pavement. Rather than just heading for the already well known areas, visited by the masses, we will concentrate our efforts on a few lesser known, but very much more impressive Limestone pavements. 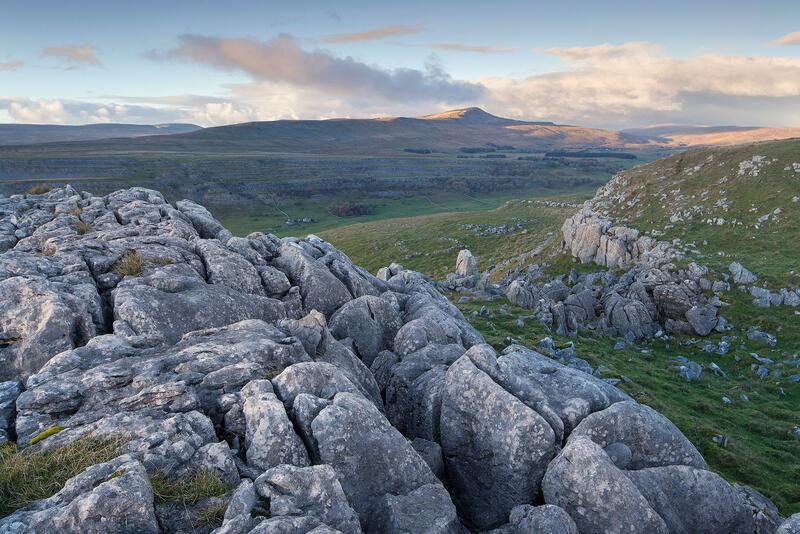 Many of these areas benefit from spectacular views towards the famous 'Three Peaks' of Ingleborough, Pen-y-ghent and Whernside. 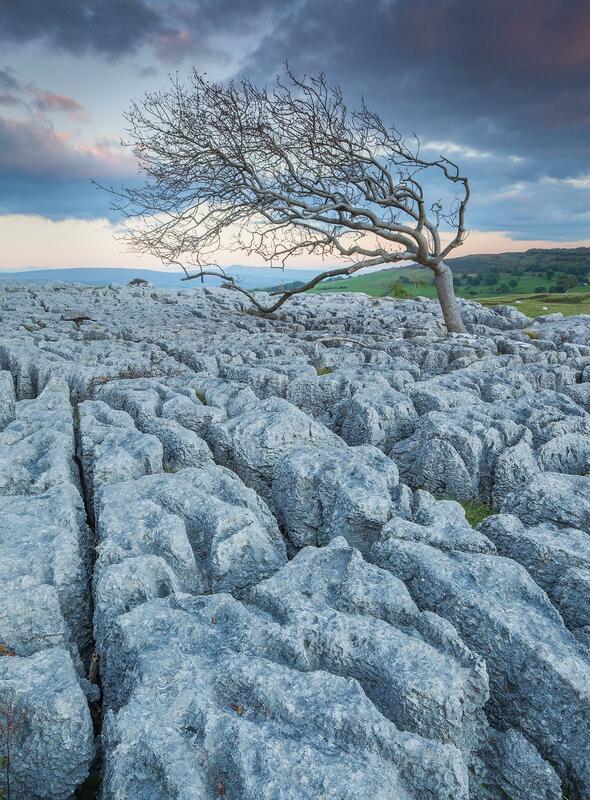 Expect to photograph dramatic Limestone clad valleys, Gnarled, wind sculpted Hawthorn Trees, limestone cliffs and crags as well as some of the more typical dales countryside, including traditional stone field barns and dry stone walls. 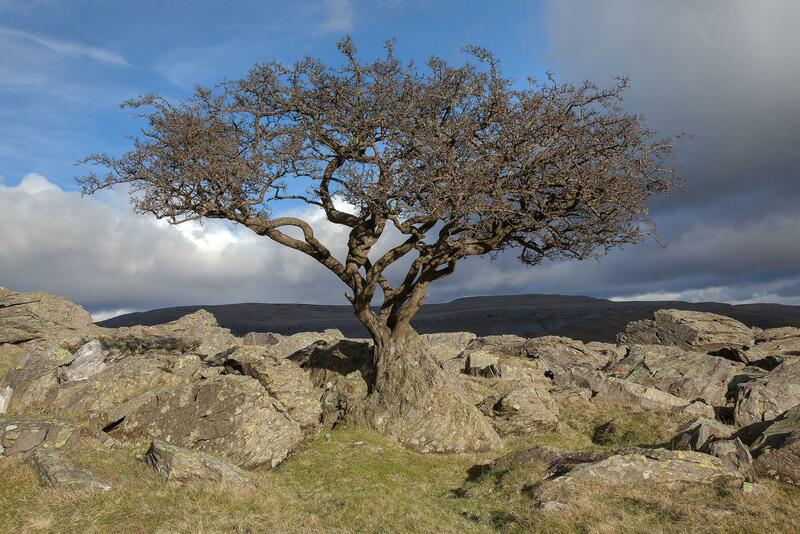 Many of the locations we will visit do not have that 'obvious' shot or one that you will have seen before. This, in my mind makes these locations ideal for a workshop situation and learning more about how to compose your own images. We won't really be working to a rigid plan, rather we will try and work around the prevailing weather and conditions, to make the best images possible on the day. 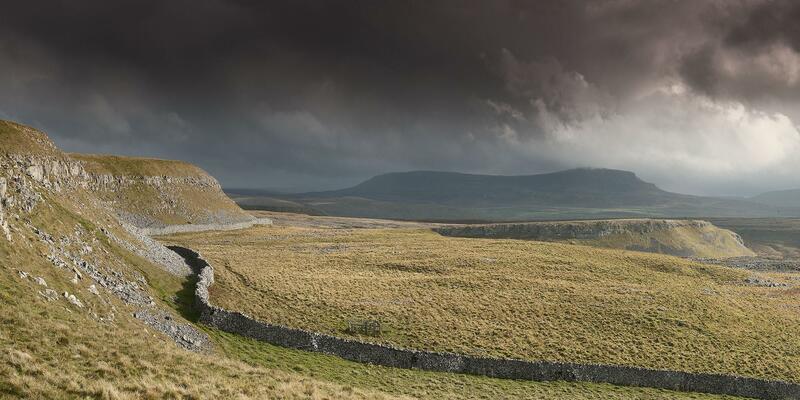 it's possible that we could visit the odd waterfall throughout the day, depending on conditions and because of the sheer diversity of the Dales landscape, it's always easy to have a few backup plans in case the weather is not at it's best. There will be some walking on this workshop, but this will be on mainly good flat paths. There are no major hills to climb, but one area will take us around 30-40 mins to reach, walking at a steady pace, so you should have an average fitness level. What will you learn on a workshop? All workshops tuition is tailored exactly to individual requirement, by way of a short, uncomplicated questionnaire which is sent out on booking. Depending on your ability levels and where necessary, a basic day can possibly include tuition on the following subjects; Best practice camera set-up, shooting manual and Raw Format and the reasons why, creative uses of both shutter speed and apertures, explanations of exposure, metering, bracketing e.t.c, manual focusing for maximum depth of field (Also known as Hyperfocal focusing) The use of filters, both exposure balancing (Neutral Density Graduated) and creative effects (Polarisers, Straight Neutral Density) This leaves the best part of the day free to discuss the broader and more subjective topic of composition. What makes a good image? Elements to look for when composing images, The rules of composition, when to follow them and when to break them, use of depth, scale, distance and perspective, shoot and location planning around seasonal and differing lighting conditions, so you can go away and successfully plan the best times of year to photograph your own set of locations. I can also tailor tuition to your particular, specific requirements where necessary. 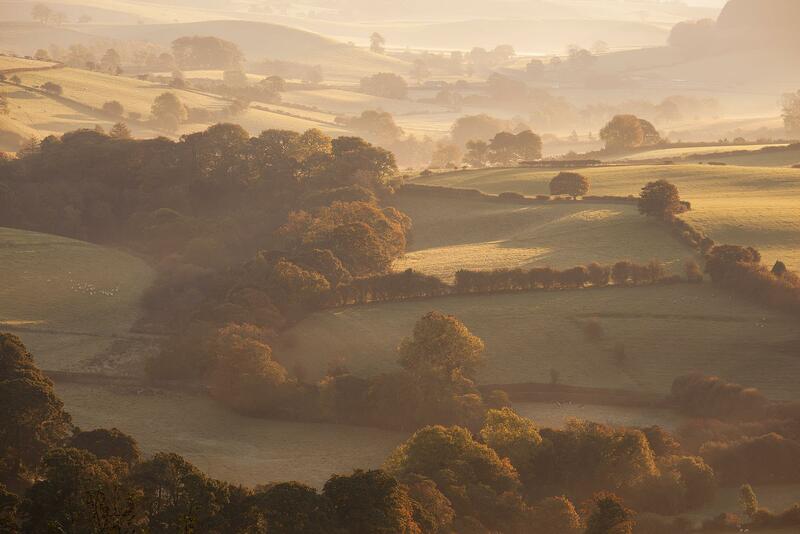 Past clients have asked for help on many different subjects and techniques; These have included shooting and processing panoramic images, using tilt & shift lenses, shooting and processing images for focus stacking and exposure blending. 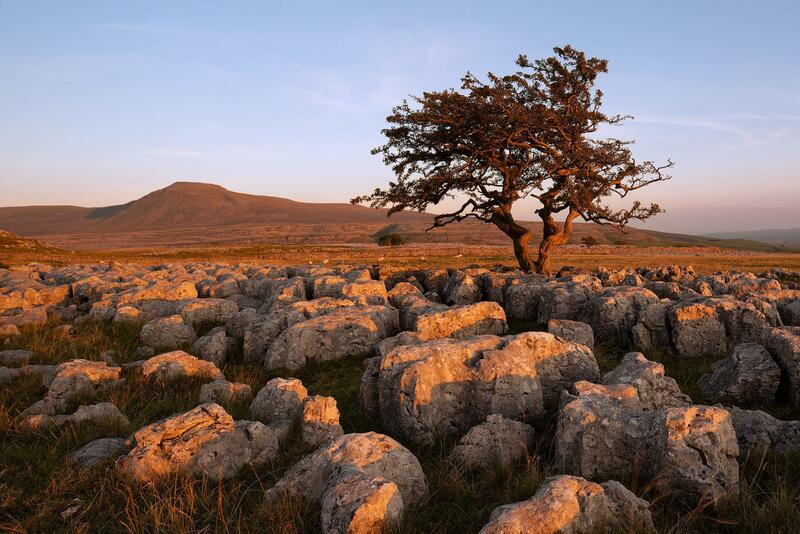 The Yorkshire Dales Limestone Pavements Photography Workshop will begin around 7 am, and conclude one hour after sunset which could be as late as 9pm. This means that you will receive at least eight hours of on location, practical tuition. We will usually make a stop at some point throughout the day, for food and refreshments etc and this will depend on group preference. If time and circumstances permit, then I will also go through a typical Photoshop workflow, (Usually over dinner) demonstrating the adjustments used from rawfile through to outputting images for web and print. This also covers some alternatives to using Neutral Density Graduated Filters, in the form of Exposure Blending incorporating alpha channels/luminosity selections and layer masks.